When you block select a word or a couple of words and right click on it you have the option to search using the default search engine. This is a common feature in any browser. But when you first install opera, when you search by right clicking on something the search results appear in the same page you are working on. Sometimes this can be really irritating. You might be checking email, reading feeds or browsing some social website even. Clicking back and going back to the original webpage you were browsing on would require loading the webpage again. On slow connections, making you wait a long time too. Surely this is not advantageous. Especially in this era where TABS RULE!. So here’s how you solve it. Click the Menu button and then click on settings and then preferences. Click on the Advanced tab and then click on Tabs. You should have some options as shown below. Here uncheck the ‘Reuse current tab’ option. That should do it.! Try searching for something now by right clicking on the selected word(s). It should open in a new tab. This is a cool trick that you can do in Opera which i found out only recently. When you have two or three tabs that you feel are related. Then you can group them just by dragging one of them and placing on top of the other. Then those two tabs will be grouped. You can add more than two tabs to a group. Shown below is an example of how grouped tabs will look like…. When the tabs are compressed together into one single tab. The previously used tab among the tabs in the group will be visible to you on the outside. 1. If in case you have multiple emails in say hotmail, gmail and yahoo. You can add all the emails into one group while you work on your pc. 2. If you are looking for some reference. You will probably be opening up a lot of tabs to get to where you want to. To get the right reference. You might want to group all these together while you browse around each one of them. So your browser will look a little organised. 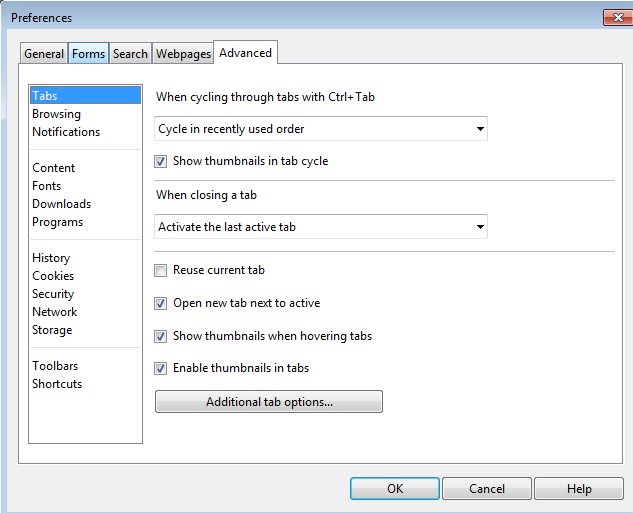 There is an add on available in the opera website called Tab Grouper which automatically groups all the similar tabs together. But any automated facility will have its limitations. At some point of time you have to intervene manually. I do not use Tab Grouper. Nothing against it but just to reduce the number of add-ons in my browser. Better to keep it light and fast. This is just a nice tip for people who are learning HTML. If you have been using any other browser. You might be aware that right clicking on any page and clicking on “View Source” or “Page Source” or any of that kind will give you the HTML source code of the page. But what i don’t like about all those tools is that it gives you a very awkward representation of the code. Some times you will not know where to begin with. But Opera has this amazing tool which i found only recently. Its the “Inspect Element” Tool. Right click on any page and click on “Inspect Element”, you will see the page split into two vertical segments. The bottom one being the source code of the page which is sorted out. Snapshot is below so you can get a picture of how it looks like. 1. 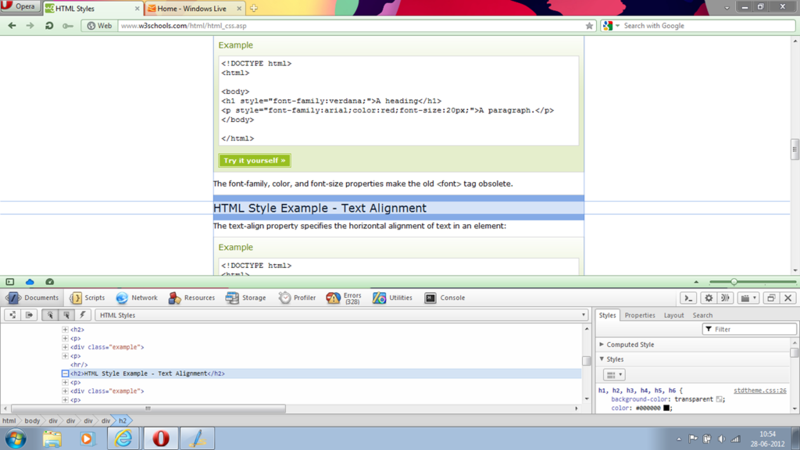 All the code has been sorted out just like how you would see it in a professional HTML editor. 2. After you click on “Inspect Element” you get into this ultra cool mode, where you can click on anything in the browser window and this lower tab will take you to the particular piece of code that is responsible for that. Awesome right!? This is just for a start. Once you go deep into this you will see that you have lot more options to analyse a webpage. I’m in that process now.